Music lovers and gamers understand how important headphones and headsets are; they drown out external noise, making it possible for one to enjoy their favorite music or concentrate on the game without interruptions. At Jumia Egypt, we have a wide and an amazing collection of headphones. Search using your favorite brand including Beats headphones, Skullcandy headphones, Jabra Bluetooth headsets and even iPhone headphones. Check out our wide collection of best wireless headphones, Bluetooth headphones and Bluetooth speakers that can be connected to mobile phones or laptops through Bluetooth connectivity. If you are looking for a gaming headset in Egypt, then you are at the right place. We also have noise cancelling headphones which tune out unwanted noise. Popular brands of noise cancellation headsets include Bose headphones, Sony headphones and Apple headphones. 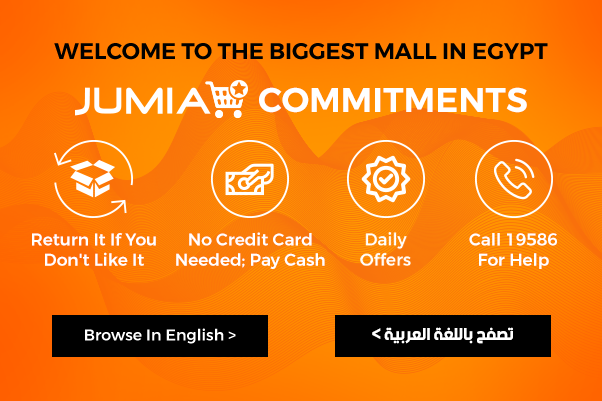 Shop for any type of headphones or speakers online at Jumia Egypt. Browse through our headphones and earphones category and discover what we have to offer. Order for your headsets and have them delivered to you.